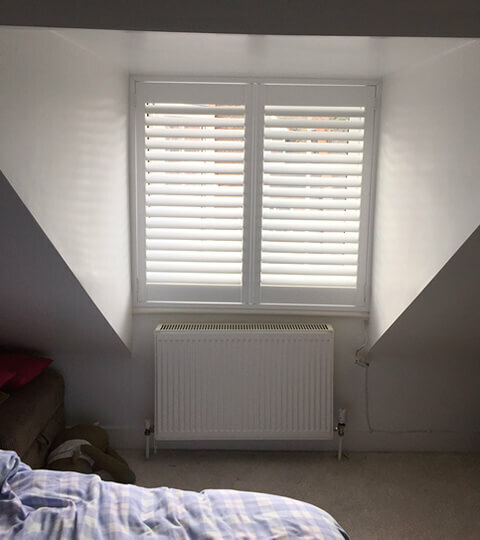 These shutters were fitted by Ben in a Loft Space Bedroom in Epsom, Surrey. The customer had a new loft conversion which was created due to their family increasing in size. We have many new clients looking to have bespoke shutters created for their loft areas, which is a great way to make the most out of natural lighting into the room. They were looking for a modern finish to a room that would be occupied by the parents. 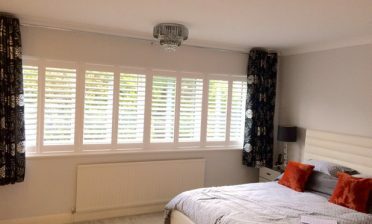 The shutters were created using wood from our Bali Range which is a lightweight solution, yet still very durable and rigid. They can be finished in a diverse range of paints and stains, with this customer opting for a Pure White finish which looks great with the majority of interiors. They also had matching white hinges installed for opening and closing the shutters, giving full access to the window behind. 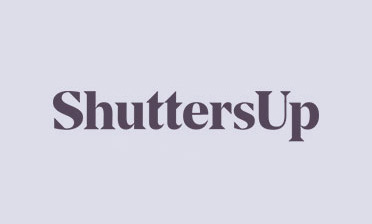 The style of these shutters is full height with 64mm louvres and a hidden tilt rod system. This allows the adjustment of the louvres through the touch of just one and doesn’t require any tilt rods to show externally. Great for creating a more minimalistic and modern look.